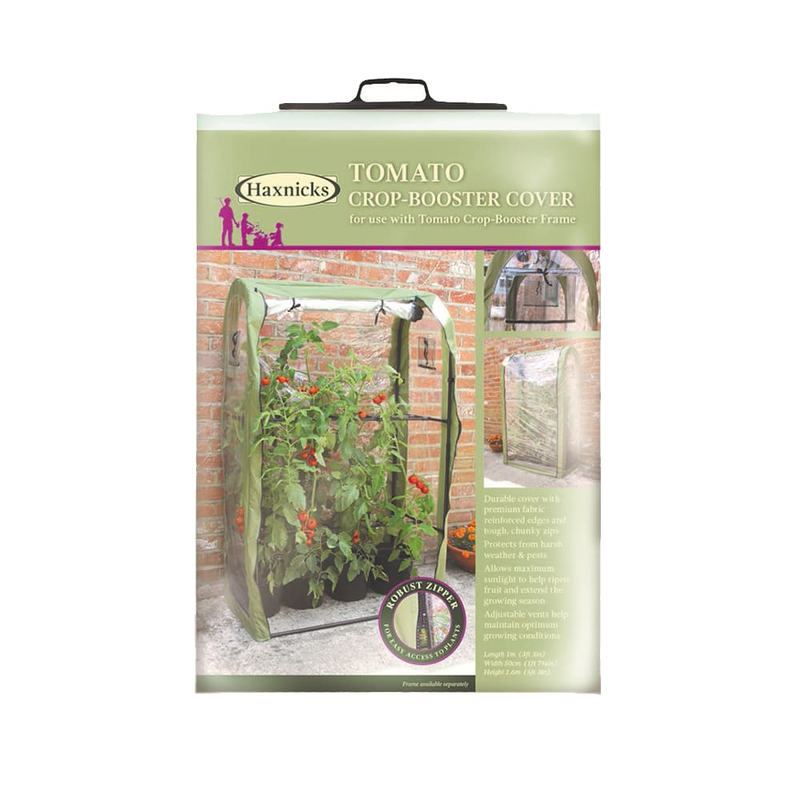 A cover for the Tomato Crop-Booster Frame that turns it into a mini greenhouse, ideal for protection from adverse weather and pests while ripening fruit and extending the growing season. Made from clear UV stabilised PVC with tough premium fabric reinforced edges with strong, durable, chunky zips for everyday use. 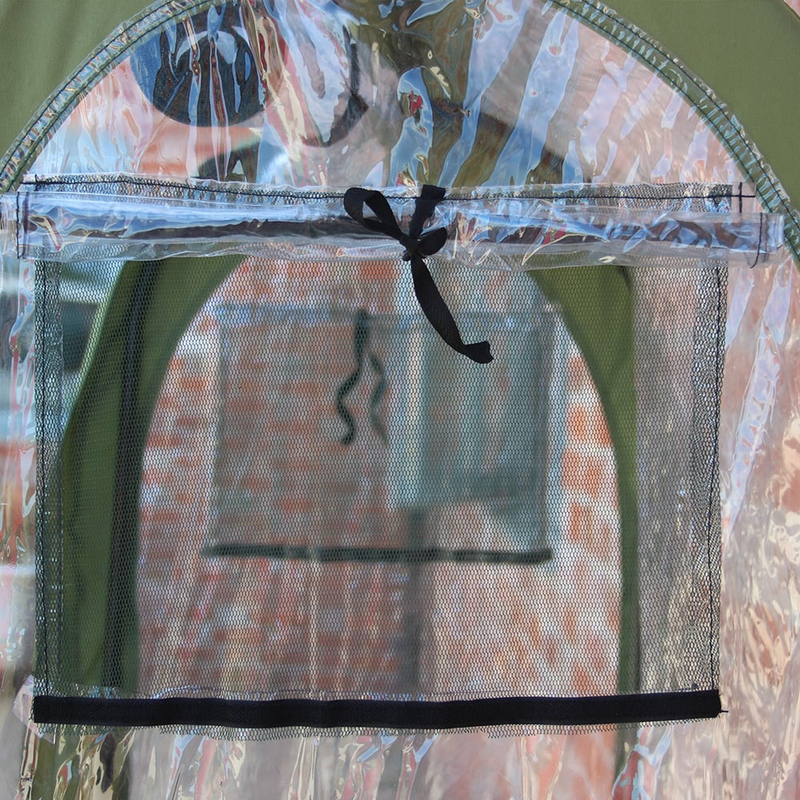 Fully opening front can be rolled up for easy access to plants, plus opening vents at each end with fine insect netting allow ventilation. 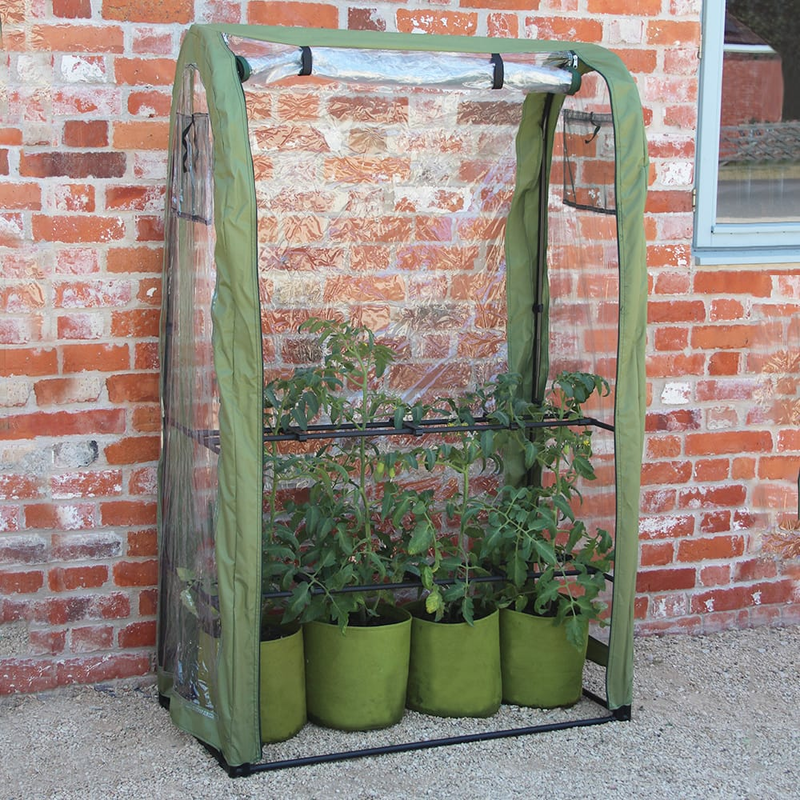 The Tomato Crop-Booster Frame and cover are sold separately because many people grow tomatoes in their greenhouse so will need the support frame but not the cover. Others will grow in a garden or allotment where it would be too windy and impractical to use a cover so allowing them to buy the frame only keeps the price low and gives them only what they need. 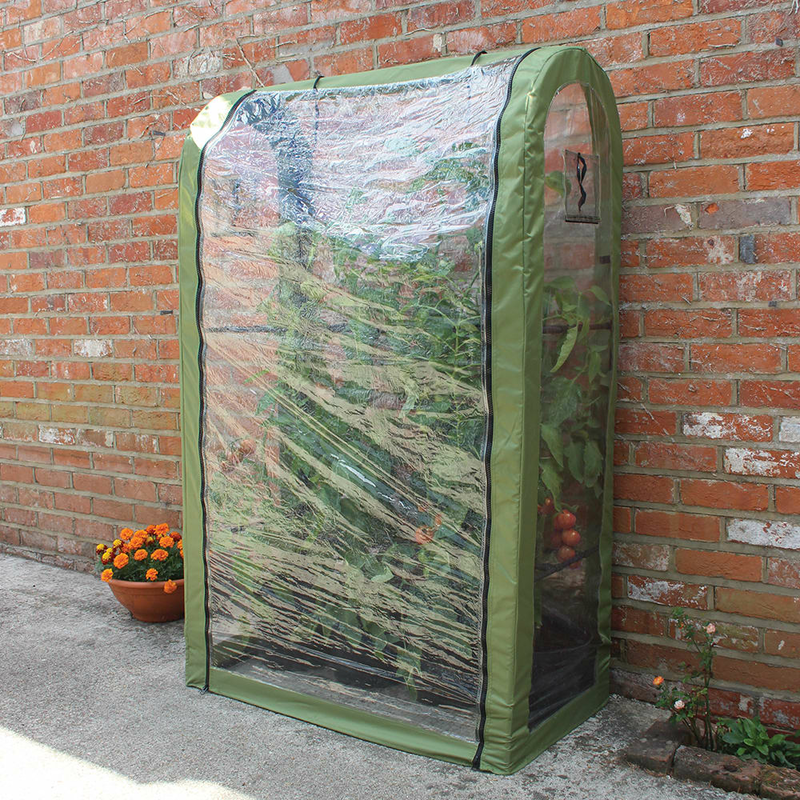 For anyone who is an avid tomato grower and who doesn't have the space for a greenhouse though the cover is a great add on. It allows gardeners to make the most of the growing season from sowing early and protecting from frost and wind to helping with ripening late into the season. Tomatoes love a Mediterranean climate so it can be left on the frame literally all season with the front open during the hottest months. 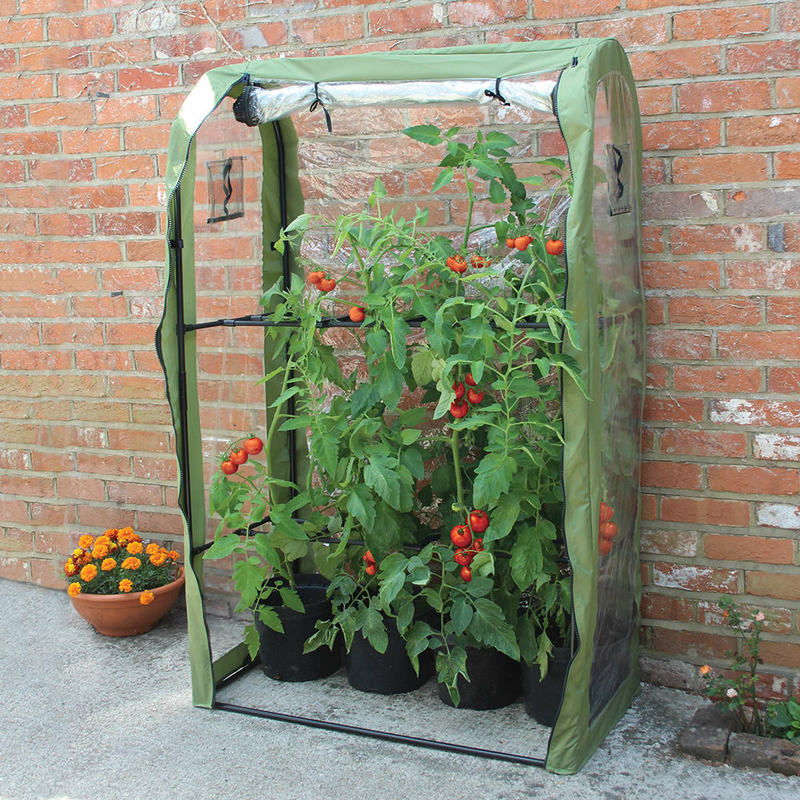 As well as protecting against adverse weather it also keeps out pests from aphids to deer.